The first products from 1949 were the DKW Schnellaster and the DKW RT 125 W motorcycle. Both will be exhibited in Essen at the Audi stand in hall 4. The DKW Schnellaster F89 L was the first automobile ever to be produced in Ingolstadt. It was ahead of its time thanks to its cab-over-engine design and was still based on pre-war technology with front-wheel drive and a two-cylinder, two-stroke engine. The reliable and uncomplicated delivery van was available in different body versions, ranging from platform or panel vans to livestock transporters and even luxury buses. The Schnellaster was a typical child of its time. Created during the hardships of the early post-war years, this vehicle was geared to the needs of the Germany’s reconstruction. The new DKW RT 125 W motorcycle, whereby “W” stood for “West”, was essentially a familiar face, with the RT 125 having already been developed in 1939 at the then DKW plant in Zschopau. Apart from the slightly rounder shape of the fuel tank, it was identical to the pre-war model with its trapezoidal forks, rubber-band springs, two-stroke engine delivering 4.75 hp and three-speed foot-operated transmission. The DKW RT 125 made a massive contribution to allowing Auto Union to become a solid company following the war and it fleeing Saxony. Besides the Audi 80 Variant from 1967 and an Audi 100 Avant GLS (1978), there will be another two truly exotic vehicles on show at the Audi Tradition Techno Classica stand. 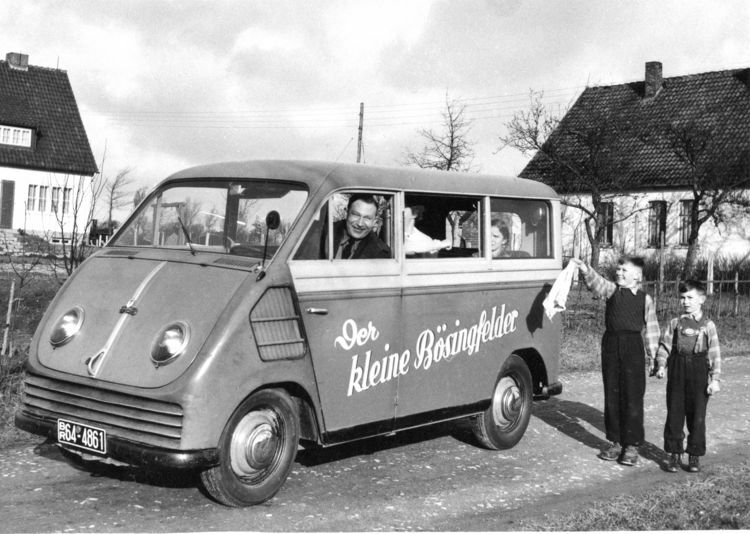 The DKW Imosa F 1000 D was a small van of which more than 110,000 units were built in Spain between 1960 and 1975. Then there is also the Audi Foxwagon which was only available in the USA. The exhibited vehicle from 1978 is based on the first Audi 80. For the North-American market where the Audi 80 was sold under the name “Audi Fox”, body components of the VW Passat were used by the Ingolstadt plant to produce a station wagon variant of the first Audi 80 – known in the USA as the “Foxwagon” – a variant which enjoyed great sales turnover.